the U.S. Fleet, 1939 edition (James Fahey, ed) I compiled the following pages. As the major European powers had just become embroiled in World War II, and the Sino-Japanese conflict continued unabated in Asia, this was an important period in world affairs. world's major conflicts, the Navy would have to fight with a far less powerful and far less effective force than it would possess just two years later. commission in October 1939 would be hastily recommissioned, with some being turned over to the British in late 1940. Command On-Line Library. As far as I know, it is in the public domain. 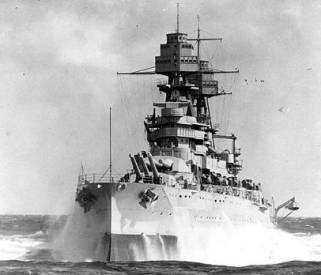 USS ARIZONA at sea in the 1930's. USS PHILADELPHIA in the 1930's.